The fireworks have all been fired and the smoke has cleared. Our field has been cut in half and we are left with 16 competitors in our Greatest American bracket. Let's check out the results. Those are some huge upsets, especially Ronald McDonald taking down fan favorite Leslie Knope. 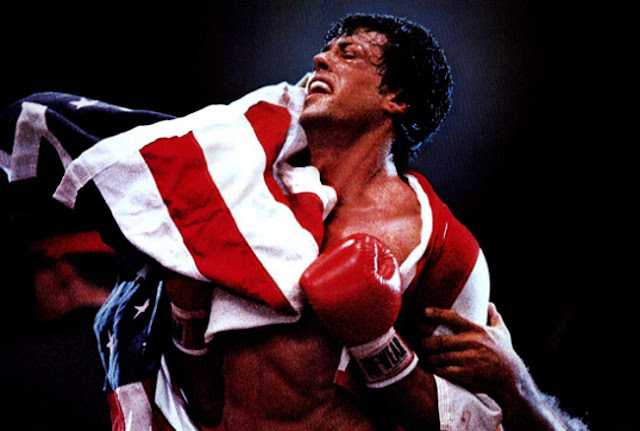 Less surprisingly, Rocky rallied to beat his greatest rival, Apollo Creed. Superman took down Team America leader Gary Johnson. And GI Joe defeated Stone Cold Steve Austin. Thankfully, Jax was able to survive the first round, ensuring that there would be at least one American in the Video Game/Anime division who wasn't a jacked blonde product of the 90's. You can vote on the second round here. Check out the bracket here. Keep up with us on Facebook and Twitter for updates on the bracket. Listen to our most recent podcast featuring our analysis of the bracket at the bottom of this page. You can subscribe to us on iTunes, Soundcloud, and Stitcher. Now get out there and vote! America!